There is a Henny House lookalike in Apeldoorn. 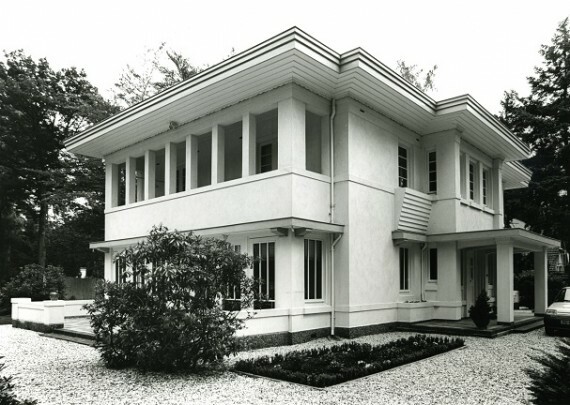 A local architect, Albert Heuvelink (1879-1949), designed this villa in the early 1920s for the banker Willem Broekhuijs (of Rotterdamsche Handels- en Landbouwbank). Lucretia was first prize in a premium loan-related draw in one of the fraudulent Broekhuijs lotteries. The winner could choose either cash or a plot of land with a villa on it and an annuity of 5,200 guilders. The winner chose cash and the villa was sold to a bank, which donated it to the Dutch actor Louis Bouwmeester in 1922.